Popularly known as the 'Magic Herb', Turmeric is an anti-oxidant rich herb widely used in India for thousands of years, primarily as a culinary spice. A rich, golden herb known to have powerful health & life-enhancing benefits. 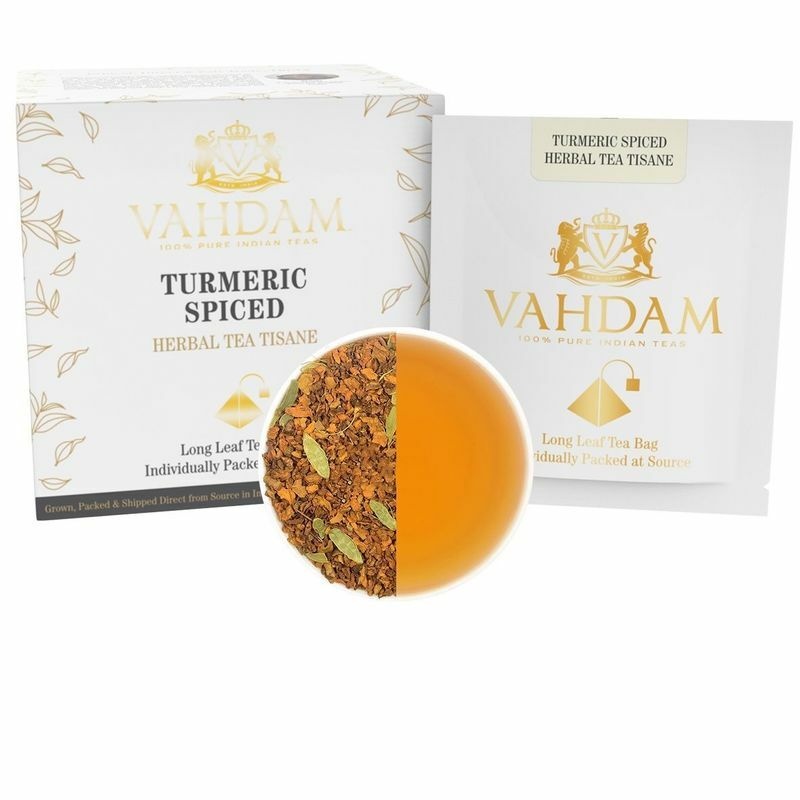 Vahdam Turmeric is procured direct from farmers in India & shipped worldwide, garden fresh from source. Open a packet of this tea to relish the sights and sounds of a true tropical delight - a potpourri of sun dried turmeric bits with freshly grounded spices. This sweet-smelling tisane is not just a delight for those keeping an eye out for health but also for tea enthusiasts. Its light, earthy and spicy flavours are a feast for the senses. Apart from the many benefits it offers, each sip offers a ticket of imagination to the lanes of an Indian Spice Bazaar. You could relish this tea by itself, or with milk. It goes well with Caprese salad, vanilla cake, waffles, scones and macaroons.